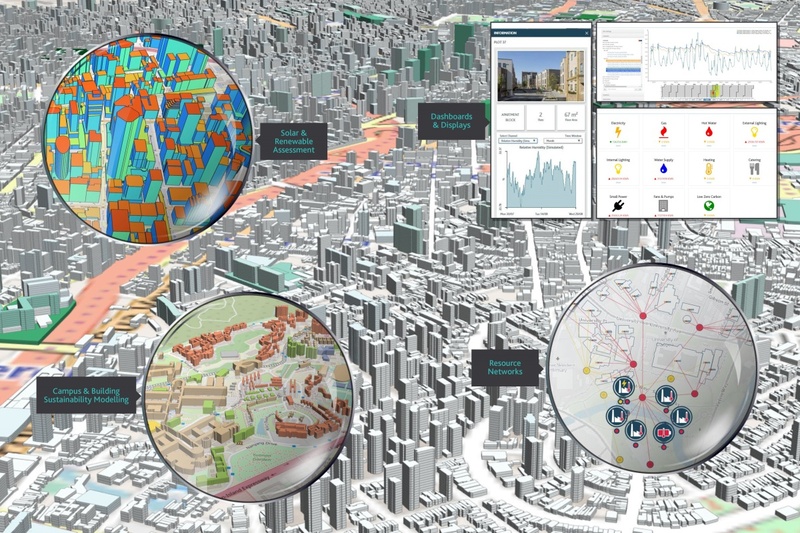 IES, which develops analytics solutions for the built environment, has introduced its new digital twin technology that aims to put sustainability and energy efficiency at the heart of the smart city movement. The Intelligent Communities Lifecycle (ICL) platform links Internet of Things (IoT) data, sensor readings, open data or any other data source into one interconnected system that enables cities to investigate the performance level and sustainability of any built environment or potential project. The ICL provides decision-support tools that facilitate the planning, design and operation of energy efficient and sustainable communities of any size and purpose, whether that be a company, campus, city or country. It aims to be a holistic tool for assessing any configuration of buildings throughout their lifecycle. The technology will provide decision-makers with the information required to form intelligent solutions, by identifying the most effective and resource-efficient ways in which they can dramatically reduce the use of energy and fossil fuels within a community. As one of the biggest contributors to climate change, the built environment has the potential to make the biggest impact in reducing the world’s carbon emissions. The platform is aimed at anyone interested in energy efficiency and sustainability, including city planners, architects, engineers, developers and facilities managers. IES has already delivered an interactive 3D visualisation and masterplanning model for Nanyang Technological University (NTU) in Singapore, which along with virtual testing, detailed operational modelling of 21 buildings and performance optimisation, uncovered campus wide energy savings of 31 per cent and $4.7m cost savings. “Climate change is a very real threat, and much more imminent than most people realise,” said Don McLean, IES founder and CEO. “Over the last 25 years we’ve built a solid reputation as a leading innovator in sustainable analytics for individual buildings and we’ve made a huge impact, eliminating the need for around 30 power stations to be built.